Black Eyed Peas For Good Luck? I was talking with a friend earlier this week about New Year’s traditional foods. I mentioned eating black-eyed peas which was unfamiliar to my friend. Even though I grew up in the north I knew it was a Southern tradition, but didn’t know anything else about it. Thanks to my third cousin, Sandi, I received the story of this tradition earlier this week. 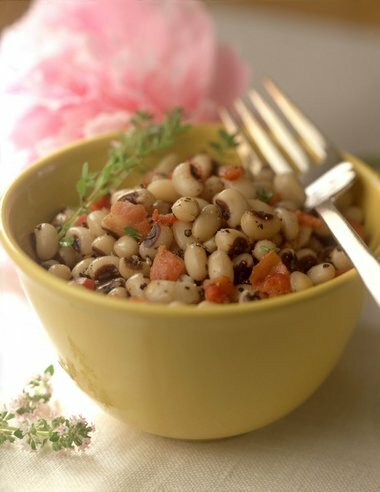 Continue reading to learn the history of black-eyed peas and good luck in the New Year…and add your favorite “good luck” food in the comments below. Happy New Year! “The Real Story is much more interesting and has gone untold in fear that feelings would be hurt. It’s a story of war, the most brutal and bloody war, military might and power pushed upon civilians, women, children and elderly. Never seen as a war crime, this was the policy of the greatest nation on earth trying to maintain that status at all costs. An unhealed wound remains in the hearts of some people of the southern states even today; on the other hand, the policy of slavery has been an open wound that has also been slow to heal but is okay to talk about. The Civil War campaign began on 11/15/64 when Sherman ‘s troops marched from the captured city of Atlanta, Georgia, and ended at the port of Savannah on 12/22/1864. When the smoke cleared, the southerners who had survived the onslaught came out of hiding. They found that the blue belly aggressors that had looted and stolen everything of value and everything you could eat including all livestock, death and destruction were everywhere. While in hiding, few had enough to eat, and starvation was now upon the survivors.There was no international aid, no Red Cross meal trucks. The Northern army had taken everything they could carry and eaten everything they could eat. But they couldn’t take it all. The devastated people of the south found for some unknown reason that Sherman ’s bloodthirsty troops had left silos full of black-eyed peas. At the time in the north, the lowly black-eyed pea was only used to feed stock. The northern troops saw it as the thing of least value. Taking grain for their horses and livestock and other crops to feed themselves, they just couldn’t take everything. So they left the black-eyed peas in great quantities assuming it would be of no use to the survivors, since all the livestock it could feed had either been taken or eaten. Here ya go – from a real “southerner”. Saute some onions, garlic and turkey sausage in 2-3 qt pot with lid. Add tomatoes and black eyed peas (already cooked) and let this simmer for at least an hour. Season to taste. The quantity of ingredients is based on how much you like or want to make. Be generous – that’s the southern way. Eat the collards as a side dish and you will have all the luck that this year can bring. Thanks for this easy and yummy recipe! I already started my black-eyed peas in my crockpot and will be adding ingredients as I go…thinking about “spicing” them up a bit for a kick.